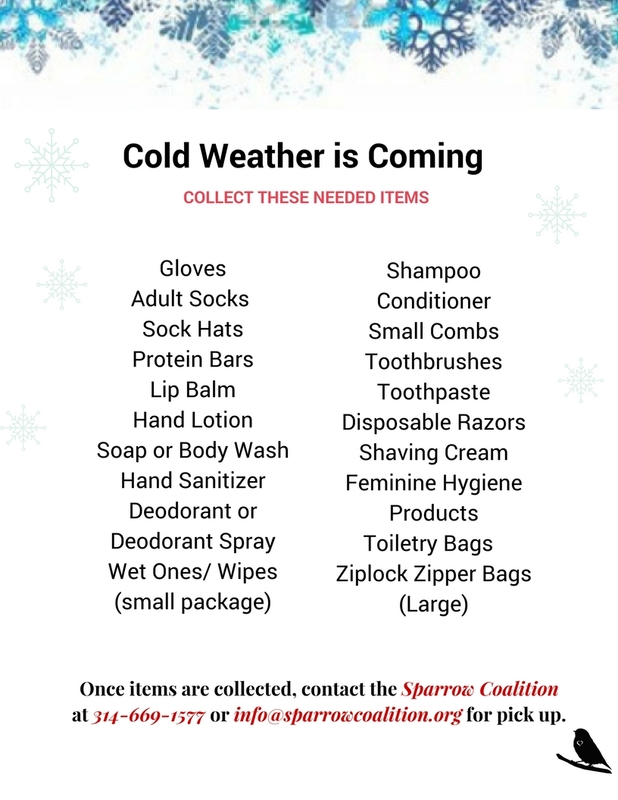 The Sparrow Coalition invites area families, organizations, Sunday School classes and youth groups to collect toiletries and cold weather items for those in need. You can choose to collect just one item from the list, or whatever works best for your community. Items collected can be given to the Sparrow Coalition for distribution to homeless and vulnerable individuals in our area. Please collect through November 7, 2017. Contact the Sparrow Coalition at 314-669-1577 or info@sparrowcoalition.org when your collection is complete so arrangements for pick-up can be made.